A range of initiatives were announced last week by the Singapore government to ‘nurture a digital society where Singaporeans have access to technology, understand it, and are passionate about using technology in their lives’. This will go hand-in-hand with building a digital economy and a digital government. Speaking at the Ministry of Communications & Information (MCI) Workplan Seminar 2017, the Minister for Communications and Information, Dr. Yaacob Ibrahim, outlined a three H strategy to enhance digital readiness: ‘Heart’ for Improving access to digital technology, ‘Head’ for enhancing digital literacy, ‘Hands’ for developing digital makers. In addition, he announced the establishment of a new digital readiness programme office to coordinate the efforts of the public and private sectors and voluntary organisations. The government has been running the Enable IT programme to help people with special needs adopt infocomm and assistive technology (IT/AT) to support their daily living, education and employment needs. The programme is implemented through collaboration between IMDA (Infocomm Media Development Authority), disability sector organisations and various other stakeholders, such as policy makers from Government agencies, disability voluntary welfare organisations and help agencies, as well as private sector organisations. The grant support to voluntary welfare organisations for the Enable IT Programme will be doubled to $100,000 per project, helping them acquire assistive technology devices to help more people with disabilities gain independence in their daily lives. This is expected to help an additional 3,000 beneficiaries over four years, doubling the current number. IMDA will also set up a library to loan IT/ AT devices to people with special needs and voluntary welfare organisations, so that the people can try out a device before making a purchase. In addition, IMDA is creating a pool of people with special needs to be Assistive Technology Ambassadors, through collaboration with technology companies such as Apple and Microsoft. The ambassadors will spread the use of built-in assistive technology on their devices and platforms (such as VoiceOver in-built screen reader on the iPhone and iPad or magnifier, narrator and speech recognition features on Microsoft products). They will also receive training on how to help people with different disabilities, including autism, or physical, visual, and hearing disabilities, use the features on their regular mobile devices to improve their quality of life. Dr. Ibrahim said that different parts of the MCI family are running separate outreach and education programmes today. The National Library Board (NLB) provides tools to check the credibility of information online through the S.U.R.E campaign. IMDA, together with the Media Literacy Council, runs the Better Internet Campaign to raise awareness of safe and responsible online behaviours. The Cyber Security Agency’s Cyber Security Awareness Campaign to make the public aware of the dangers in cyberspace and the Personal Data Protection Commission (PDPC) helping organisations and individuals adopt good data protection practices are two other examples. A design thinking approach has been adopted to identify areas where new programmes can be developed in a more holistic manner. More details will be shared when the programmes are ready. There are two segments of the population which were highlighted as in need of outreach: lower skilled and lower wage workers and parents. Parents have to keep up with their children’s technological knowledge, so that they can guide them and have meaningful conversations with them. Dr. Ibrahim announced that the Media Literacy Council (MLC) will be launching a new Call For Proposals to empower youths to initiate projects to help promote digital literacy to the community. MLC will provide funding, training and incubation facilities for development of social innovation solutions, working with partners, Google, Garena, MyRepublic, Facebook and Mediacorp. Young Singaporeans will also be encouraged to start their own platform, movement or enterprise, to develop solutions that tackle issues such as cyber-bullying and fake news. Dr. Ibrahim launched the Digital Maker Programme in order to encourage Singaporeans of all ages to tinker and create. The programme will introduce simple and open-ended technology that allows kids as well as adults to start off as hobbyists to create and prototype their own inventions. There are plans to introduce digital making to the community by providing micro:bits to participants at Digital Maker workshops through partnership between IMDA and the People’s Association, the Science Centre Singapore and Centre for Fathering. Self-help groups would help extend such workshops to low-income households. Dr. Ibrahim gave examples where the Digital Maker workshops strengthened bonds among families and communities. In IMDA’s early trials, residents created digital greeting cards which could play their family’s favourite tunes and created their own automated water system for their community garden. Local companies form an important piece of the jigsaw. Seed funding will be provided to local companies with the potential to commercialise. Examples of potential successes include a breakout board developed by a start-up that easily connects to a wide variety of sensors and displays for more complex creations, without having to deal with messy wiring and soldering and a Digital Making Starter Kit that allows the user to build 15 different projects with the micro:bits by a local SME. To ensure greater alignment among all the various initiatives set up by public, private and voluntary organisations, MCI will set up a digital readiness programme office to drive a whole-of-nation strategy to build a digital society. This office is supposed to function as the centre of an extensive network of organisations, helping coordinate initiatives. It will also study international initiatives for digital readiness, identify existing gaps in Singapore’s efforts, and recommend a long-term strategy and manifesto to build a digital society. 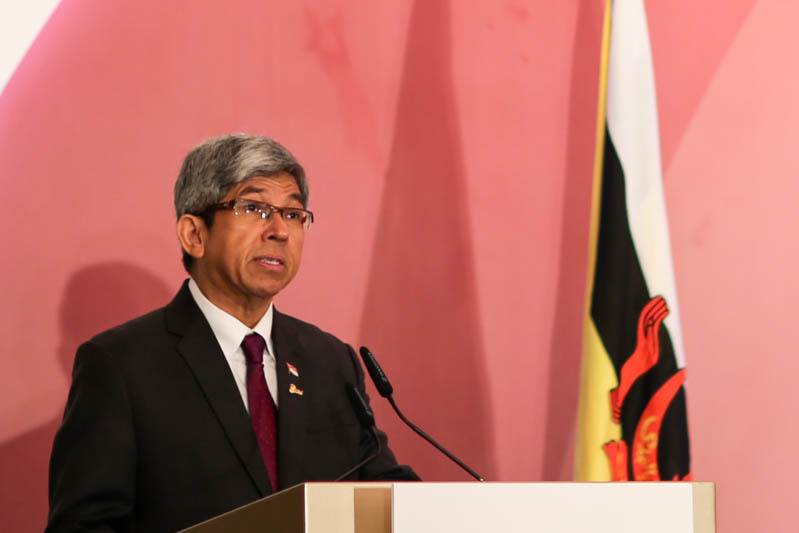 Click here to read the transcript of the speech by Dr. Yaacob Ibrahim.